1. 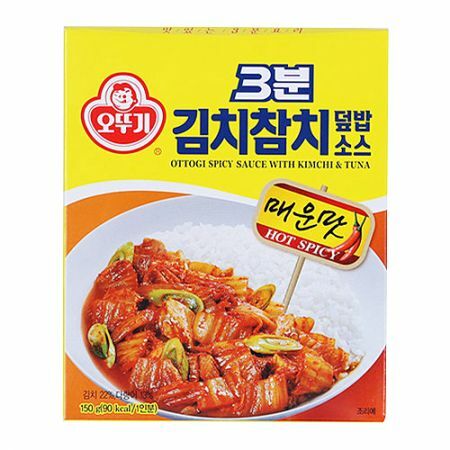 Made with well prepared kimchi with Korean cabbage and other fresh ingredients under strict quality control. 2. Preserved a great taste and nutrition of a fresh tuna in a clean process. 3. Enjoy the spicy and natural taste of well prepared kimchi with a fresh tuna along with other spices. 4. Just pour it on the rice and cook in the microwave for your convenience. .